We offer a patent-pending product called the Louver Lifter™ that is ideal for any style of greenhouse. 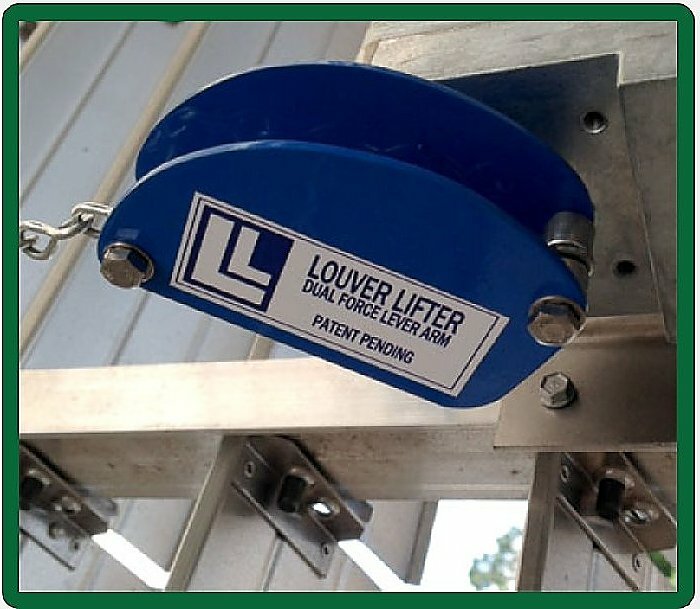 The Louver Lifter™ works by using its maximum initial force to open louvers against the suction of the strong partial vacuum created by exhaust fans. Once the louver is open, the force is reduced to prevent damage to louvers or linkages.